Common called up the then-teenage rapper as a favor to his grandmother. Well before Chance the Rapper became a household name, Common called him up. No, not to work with him. A decade ago, Common simply dialed, at the behest of his grandmother, to give a 14-year-old fan advice about making music. 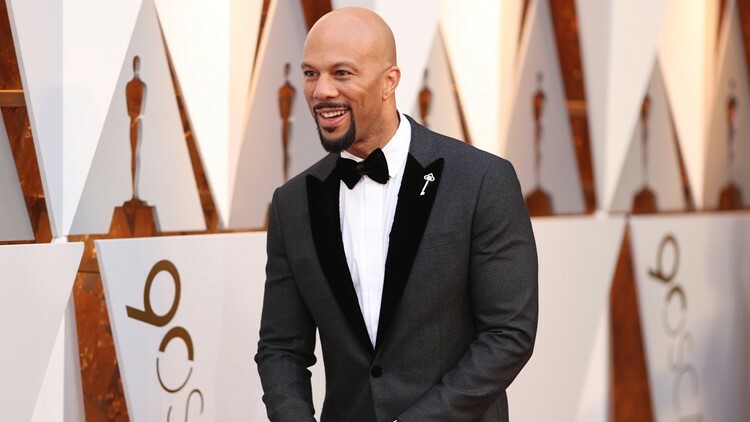 "My grandmother asked me (to talk to) one of her friends’ sons, because he raps," Common told USA TODAY on the Oscars red carpet. "I called his phone, he didn’t answer. I left a message, an inspiring message," he said. "I don't know what I said, (something like), 'Believe in what you're doing and go for it.'" It sounds like the message was received. "Ten years later, I found out (I'd called) Chance the Rapper," he said. You know, the artist who won three Grammys last year. Chance is certainly not the only Common fan who's found fame in the music industry. Andra Day told USA TODAY on Sunday, that roughly 16 years ago, "when I was first able to choose, buy a ticket, go to a concert, (Common's) was the first one that I picked to go to." This weekend, Day shared the stage with her idol to perform their Oscar-nominated song, Stand Up For Something.